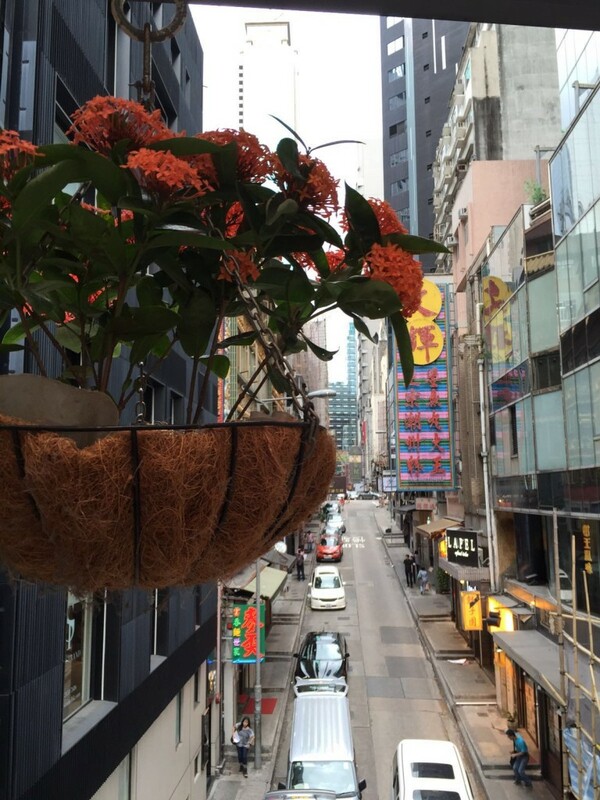 I had the opportunity to visit Hong Kong some time ago and realize that I never wrote about it and it is definitely a city worth mentioning! 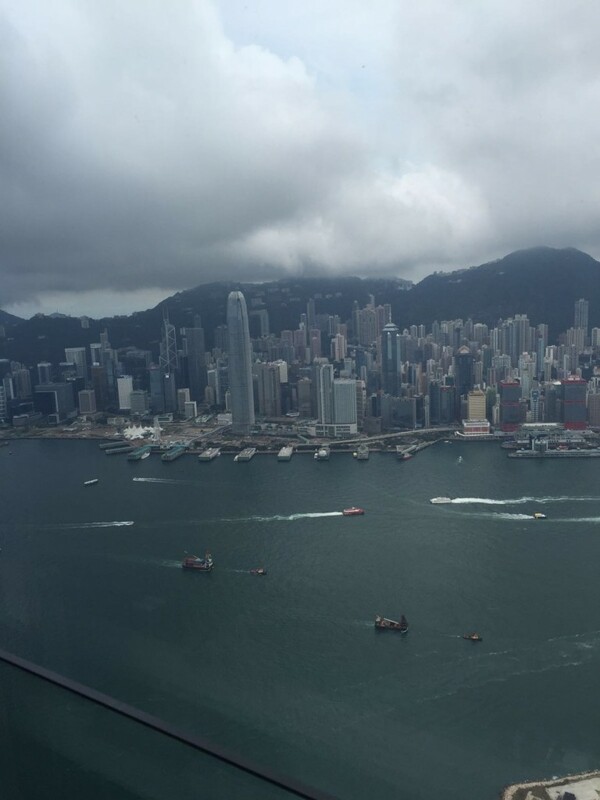 Hong Kong is located in South Eastern China and is famous for its food, skyline and shopping amongst other things. 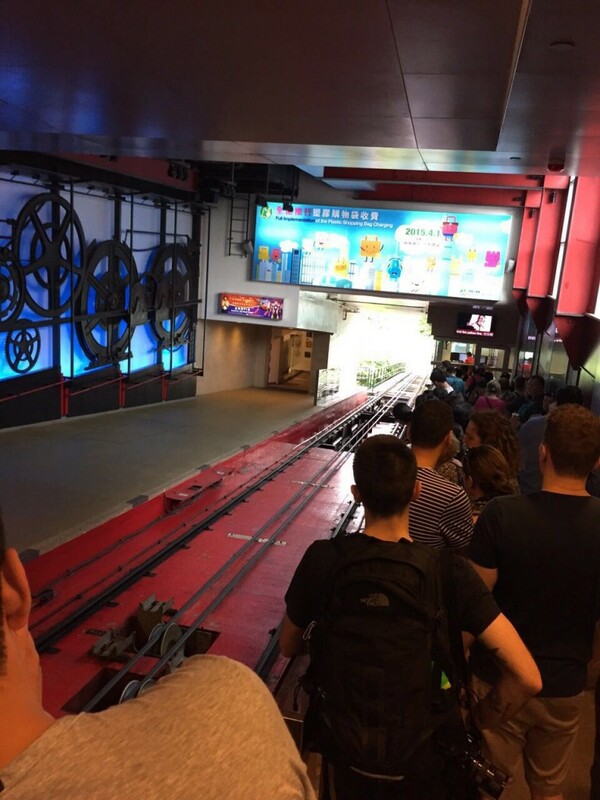 I have compiled a list of 10 of the most important things to experience while in Hong Kong. 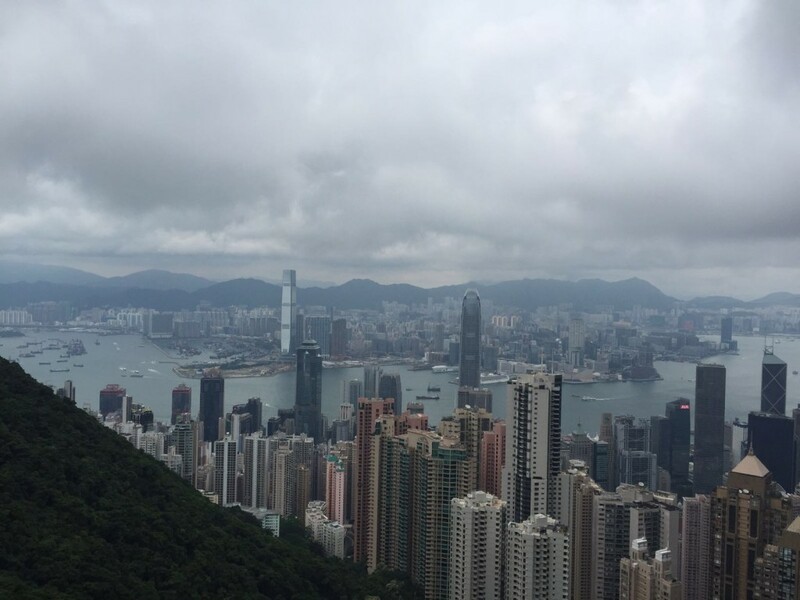 Victoria Peak, also known as the Peak is a mountain located on the Western side of Hong Kong that is famous for its views over the city. 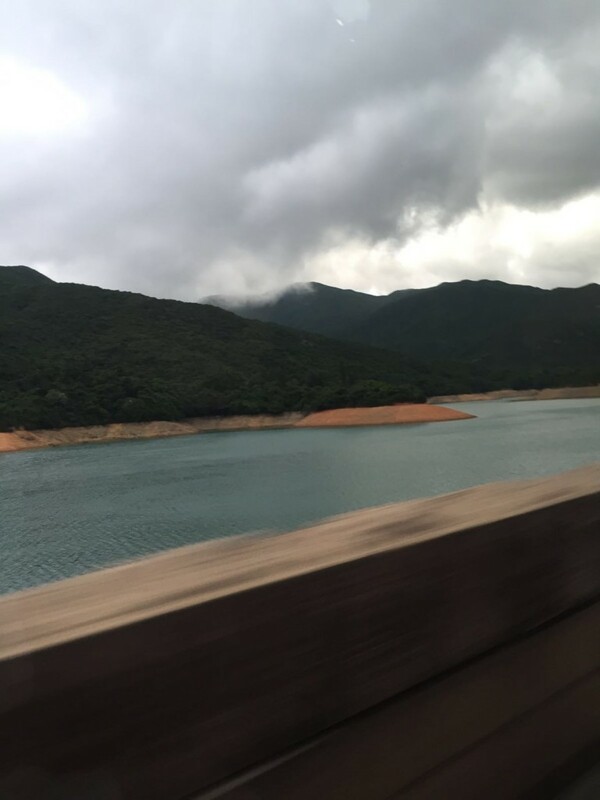 It is the highest mountain in Hong Kong as well as the highest point. To reach the peak is already a journey and experience all on its own. 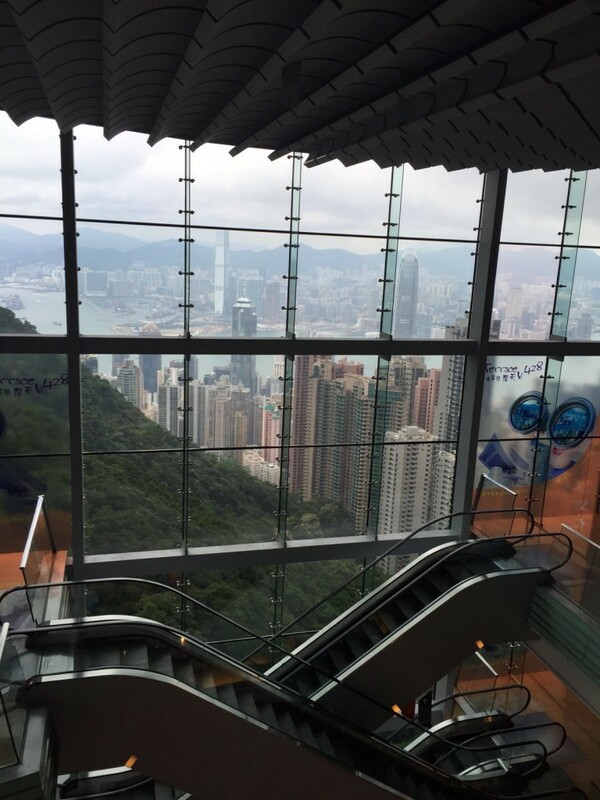 On the way up to the peak terrace, the view is already amazing! And finally when you arrive, it is totally worth it! In this area there are shopping malls, residential area, restaurants, telecommunication center and more. After witnessing so many sky scrapers and hectic streets I headed to Victoria Park. 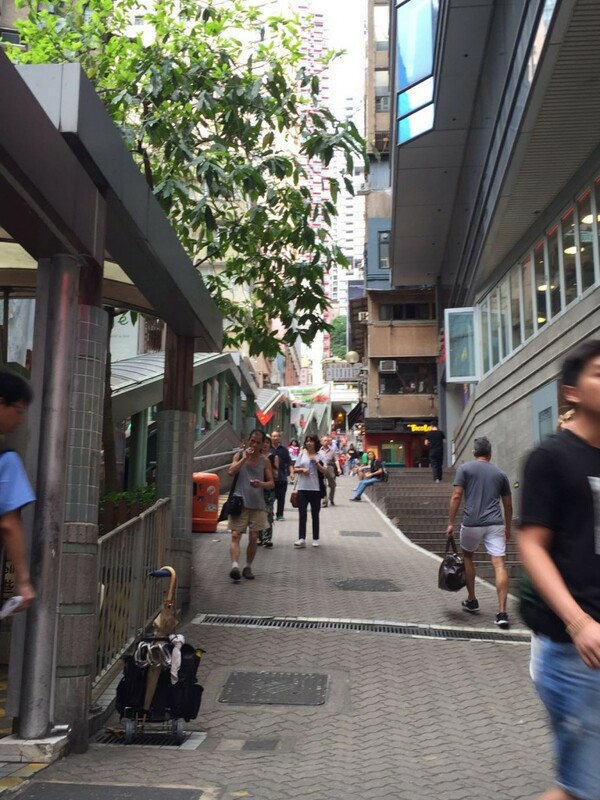 This Park is located in the North of Hong Kong on the Causeway Bay which was remodeled in the 2000’s to what is is now. 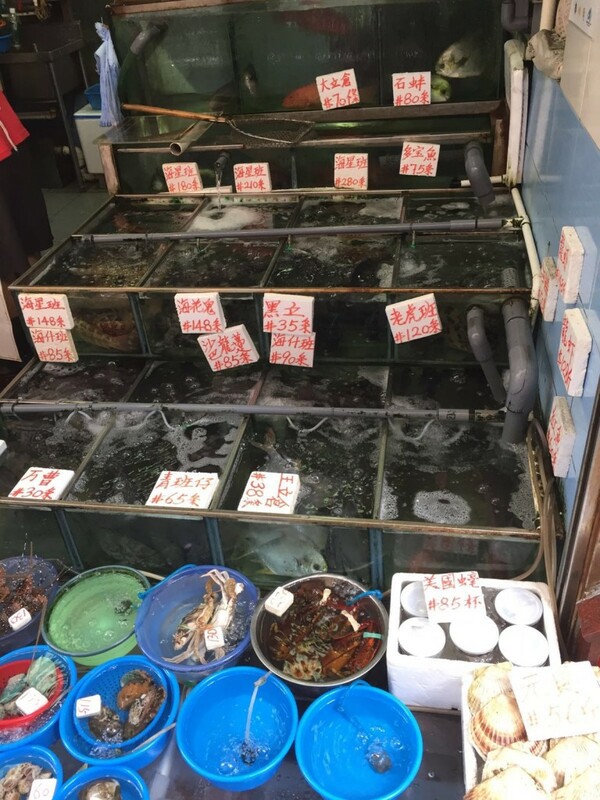 It used to be a part of the Victoria Harbour and was used as a Typhoon Shelter. The Park was named after Queen Victoria (there is a statue of her in the park) and is a recreative park with sport facilities (such as tennis and swimming pools). It is really an extraordinary public park! 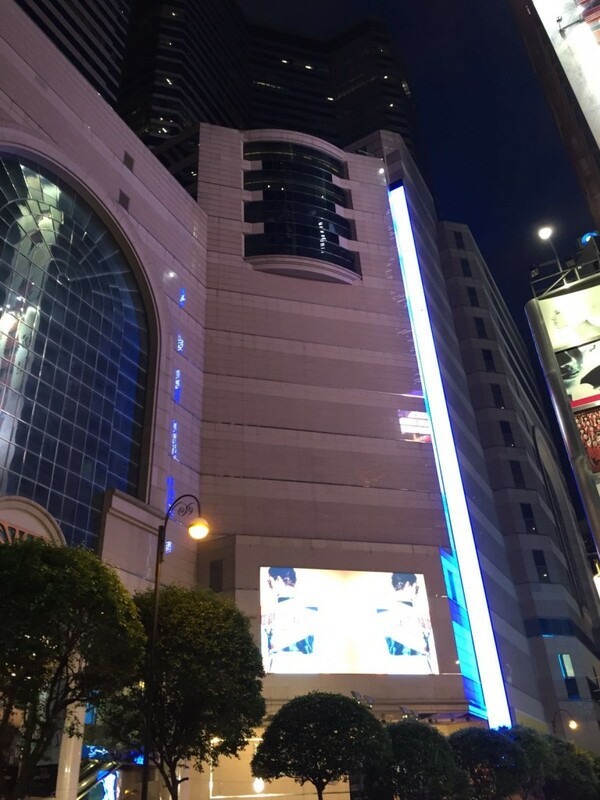 Not too far from Victoria Park, in the Causeway Bay area you reach Times Square! 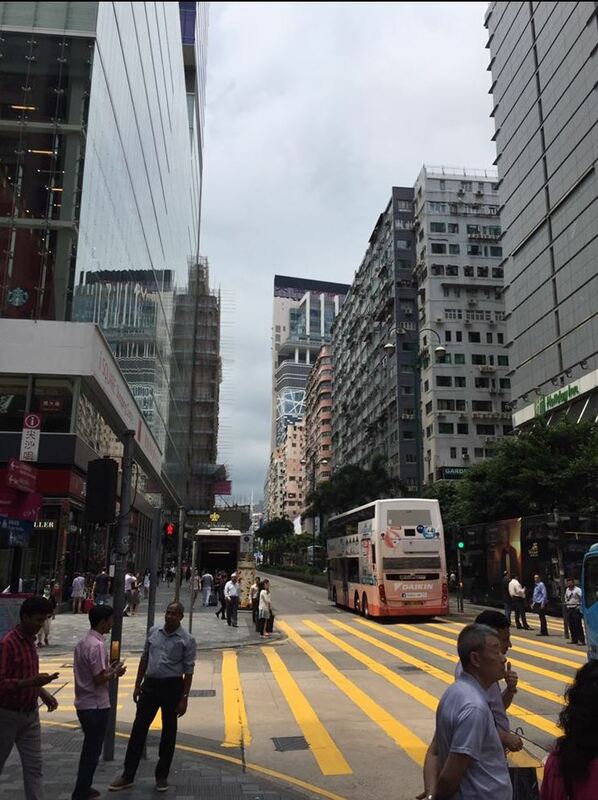 This is a shopping area with many skyscrapers and office buildings! Have you been to Times Square in New York? These squares really have something about them. If you happen to be here during the festive season (Christmas and New Year) this is an extremely popular location and is said to be completely packed during the time! 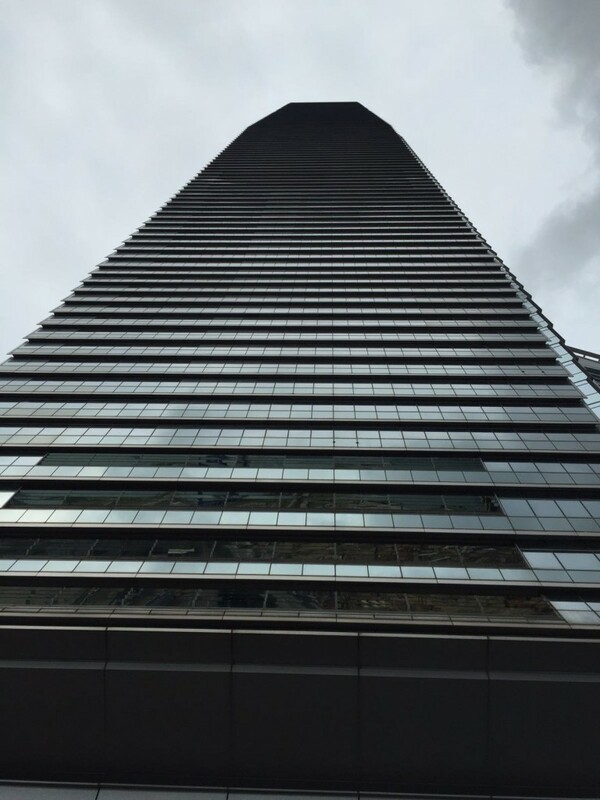 The International Commerce Center or ICC is a 108 floor building located in the West part of Kowloon in Hong Kong and is on the list of one of the tallest buildings in the world. 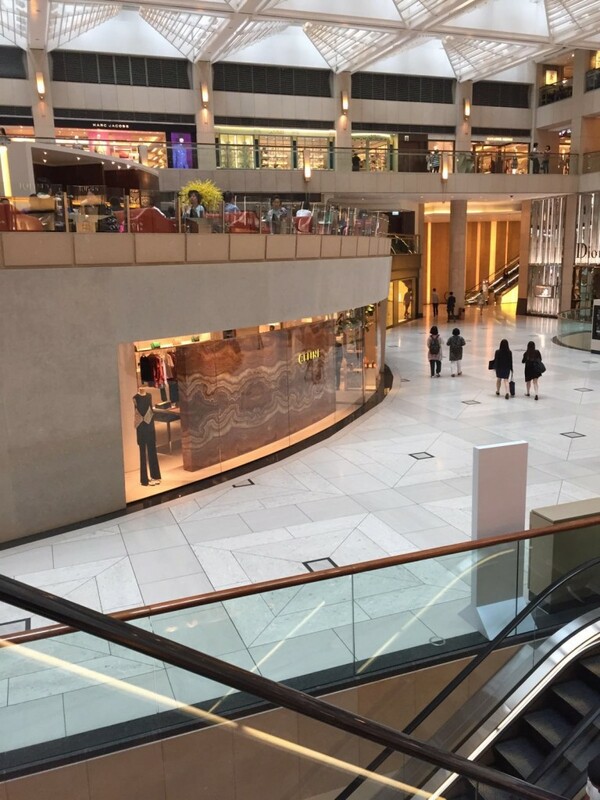 “The building consists of a shopping mall in the lower levels, an observation deck, a hotel, car park, offices and a restaurant. 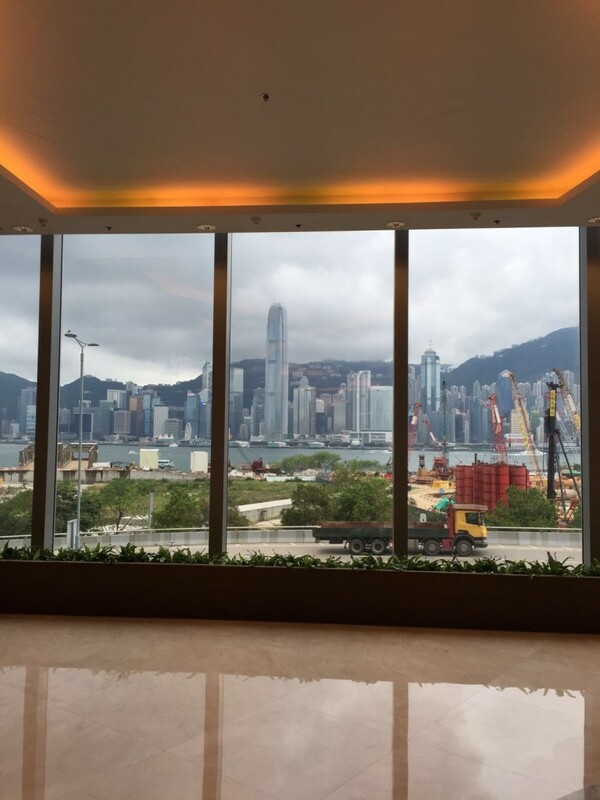 Because I was already in the ICC building and find it very important that being in Hong Kong I have a meal with one of the best things it has to offer (the view) I went up to the Ritz Carlton where I enjoyed a meal. Did I mention I am afraid of heights? I might have at some point. Well it is the first time and definitely an experience to be so high up in a building and it is not as scary as I thought because it is almost like being in a plane. The Ritz Carlton of course is a great hotel and I certainly recommend it for a meal! 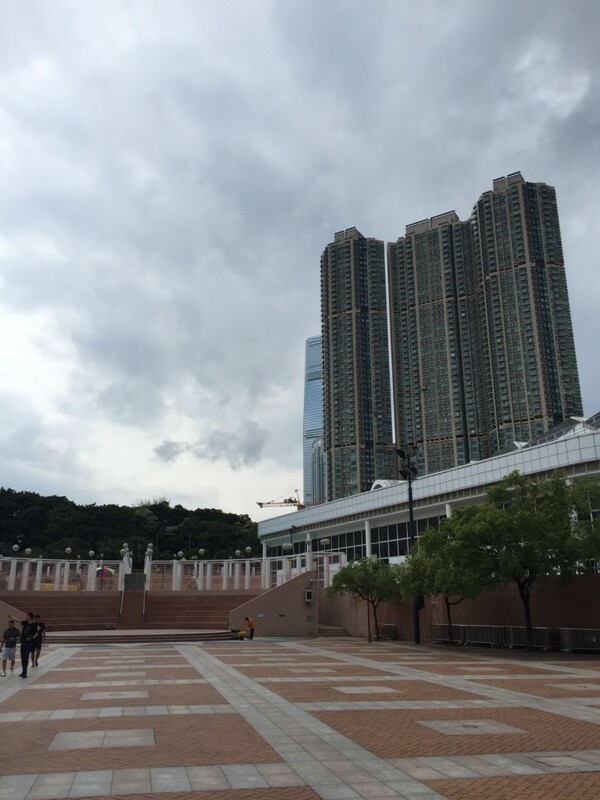 After leaving the ICC building and already being in Kowloon ( an Urban area in Hong Kong) I went to see Kowloon Park. 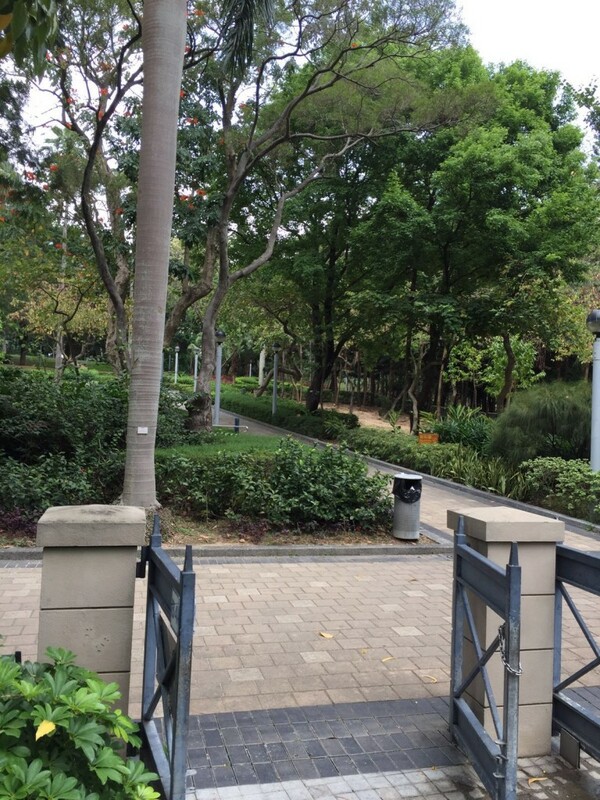 The park which is 33 acres used to be utilized by the British as barracks but was developed into a park and officially opened in 1970 by the governor of Hong Kong. 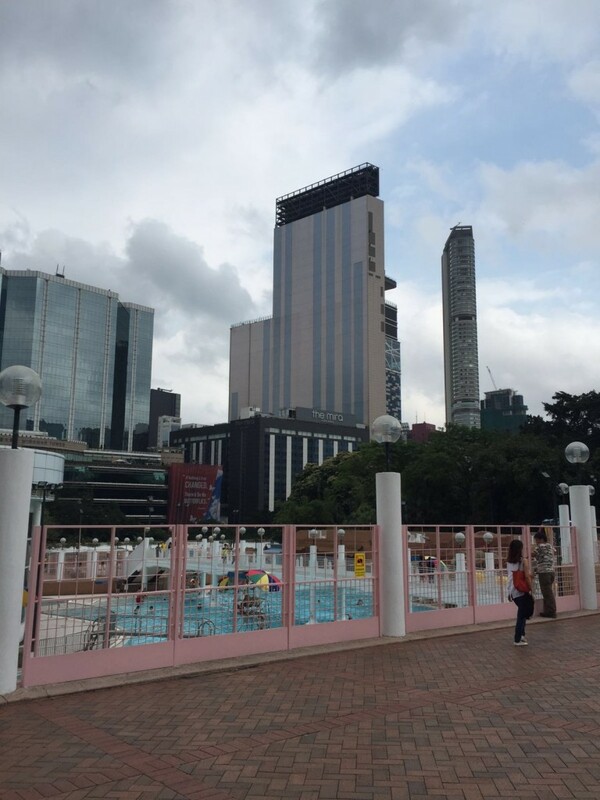 Kowloon park consists of gardens, museums (Hong Kong Heritage Discovery Center and Health Education Exhibition and Resource Center), sporting facilities, the bird lake and a avenue that features comic stars. This is a great place to visit with family as it has entertainment for all ages. 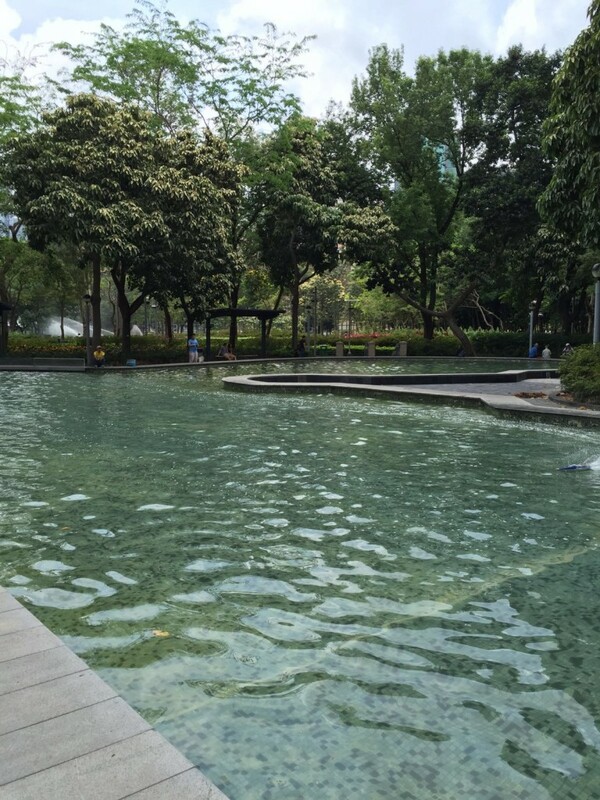 Kowloon Park in Hong Kong, I cant seem to get enough of these parks! The international Finance Center is a complex located in the Central district in Hong Kong and this area is especially iconic for two of its skyscrapers, the IFC Mall and the Four Seasons Hotel Hong Kong and the second tallest building in Hong Kong. 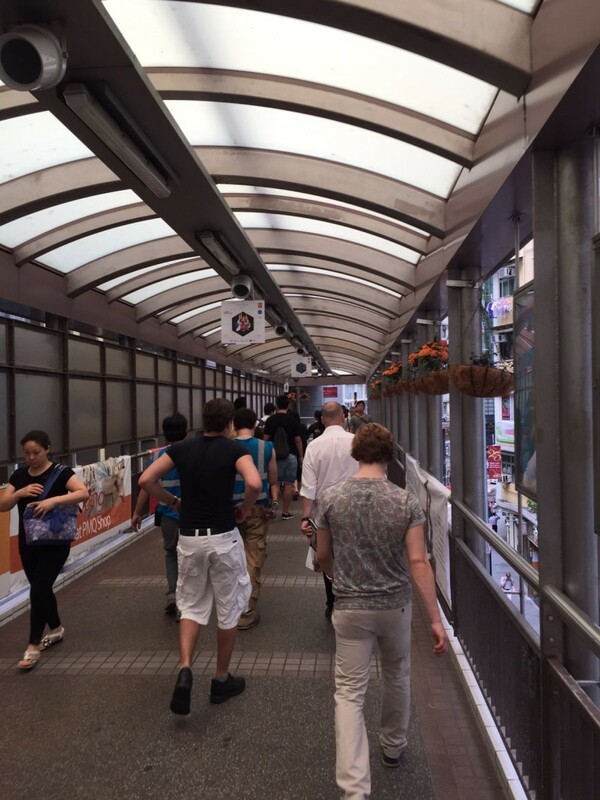 I would like to take a minute to address one of the things that stood out the most to me while I was in Hong Kong and while I was walking around from place to place. 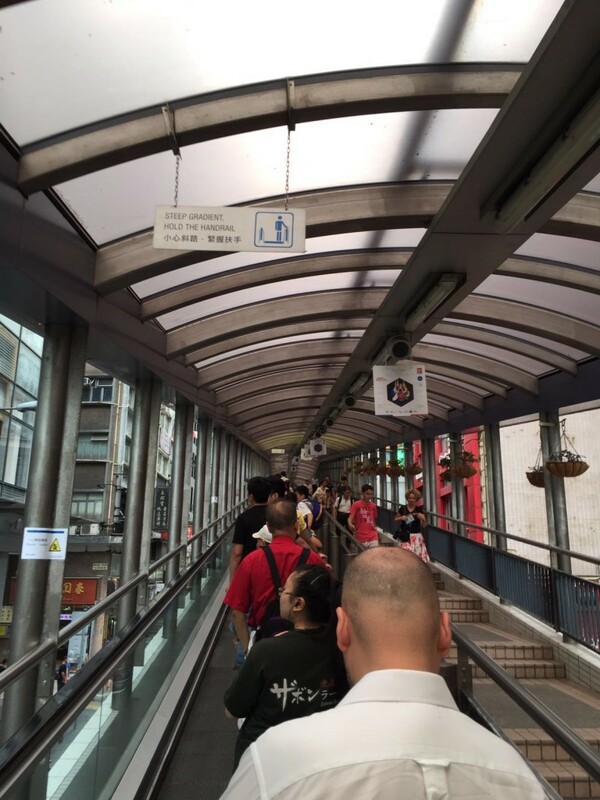 It is the Central to Midlevel escalators. This is the longest escalator system (800metres) that is outdoors and covered in the world and was constructed in 1993. 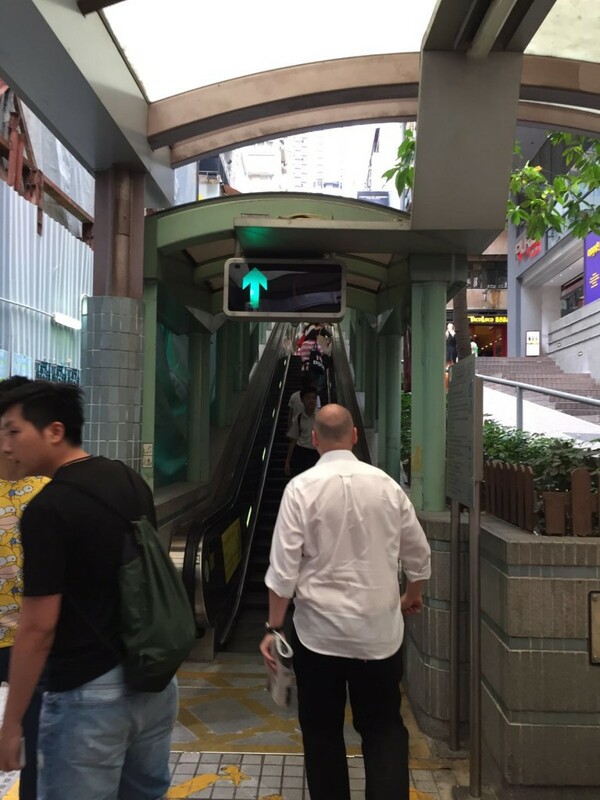 The escalators where built due to traffic congestion in the city and is now used by pedestrians as it has created a link between the city. 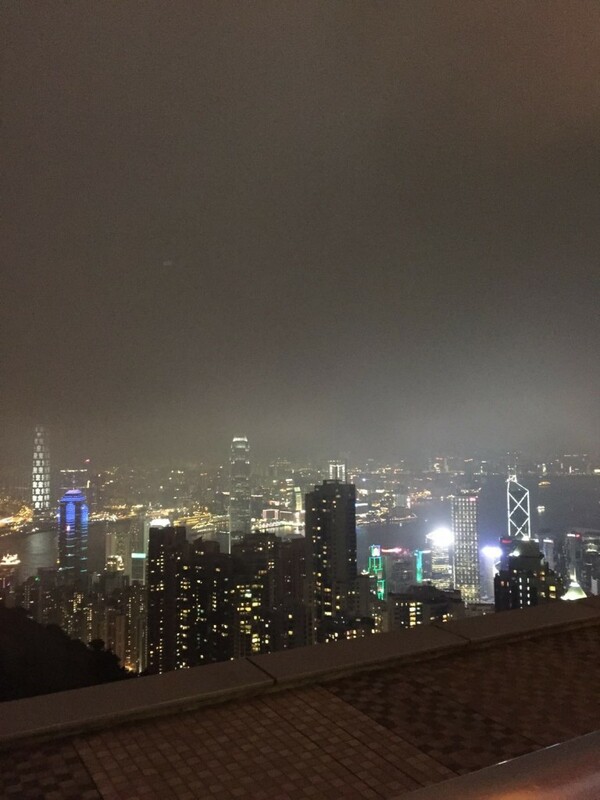 It is truly amazing especially since Hong Kong is mostly step hill! 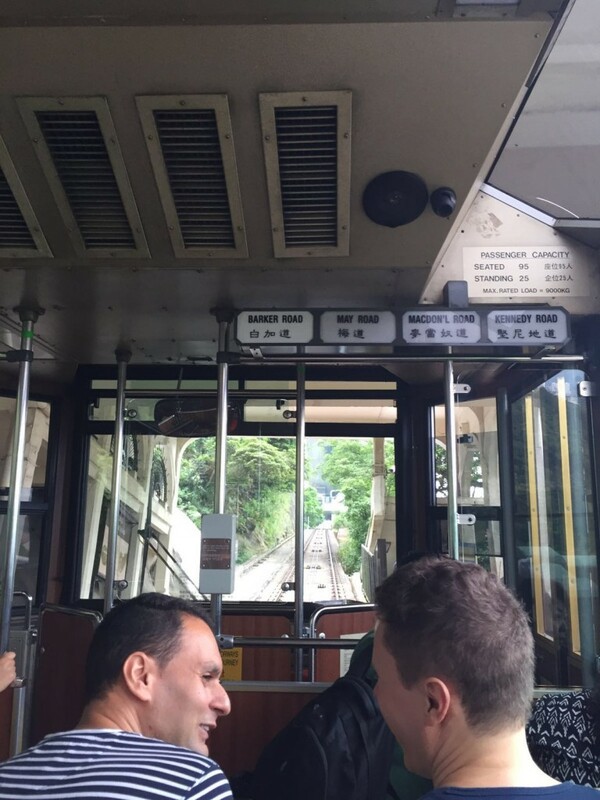 In total the whole trip takes 20 minutes and is used as transportation but is now also a tourist attraction as restaurants and bars have been built surrounding it. 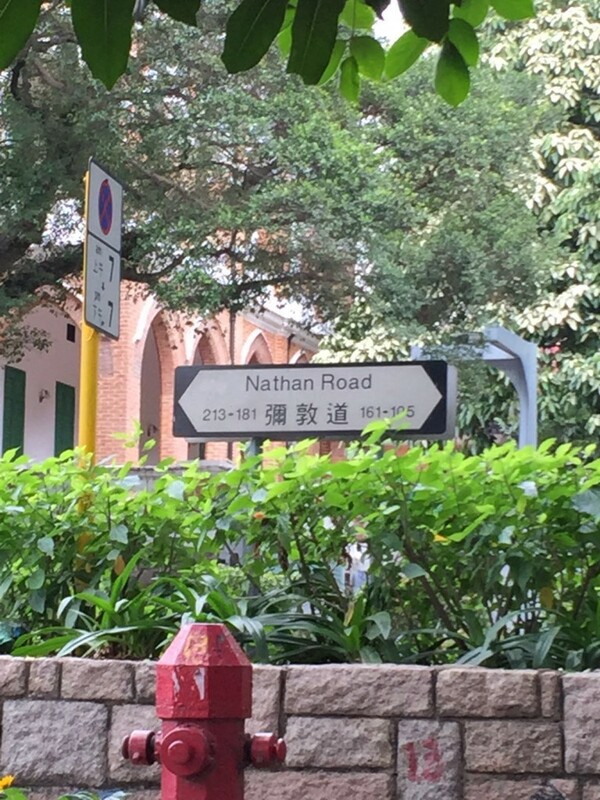 Nathan Road is the main street in Kowloon that starts at Tsim Sha Tsui and ends at Sham Shui Po. 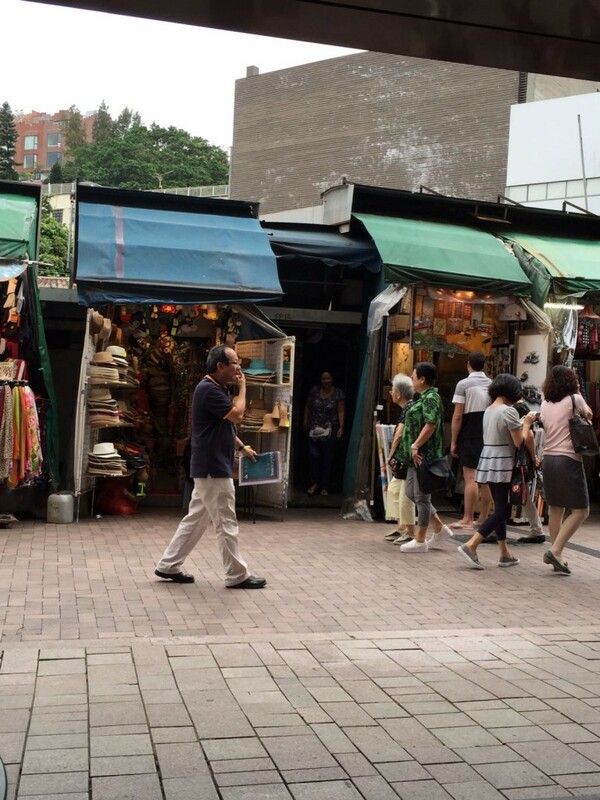 It is the Oxford of Hong Kong and consist of many shops and restaurants, it was the first road built in Kowloon (the first part being completed in 1861). A tip is that if you go on the side roads where it is a bit quieted you will also find shops and restaurants but without the same number of tourists as on the main road. 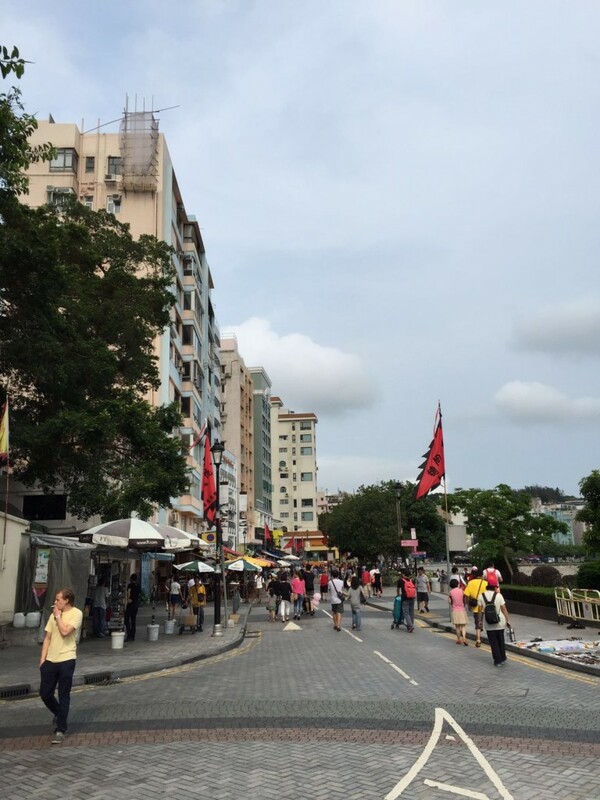 In comparison with Nathan Road, Stanley market is a street market and a traditional open air market and therefore a definite must visit! If you are in Stanley and have some time I suggest you visit the Man Mo Miu temple. I did not have time but it is a Cantonese temple of worship located not too far from the market. 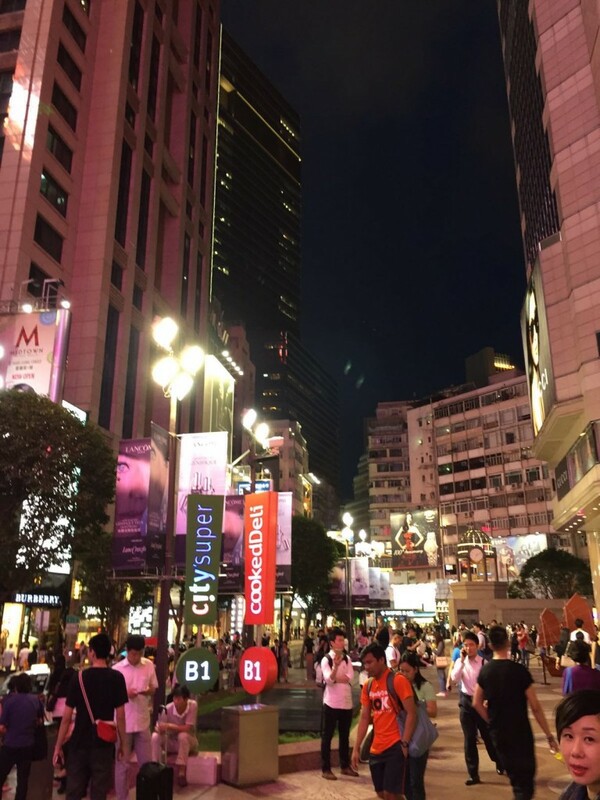 There are many shopping malls in Hong Kong, some bigger than others and definitely worth passing by them even if you are not necessarily looking to shop. 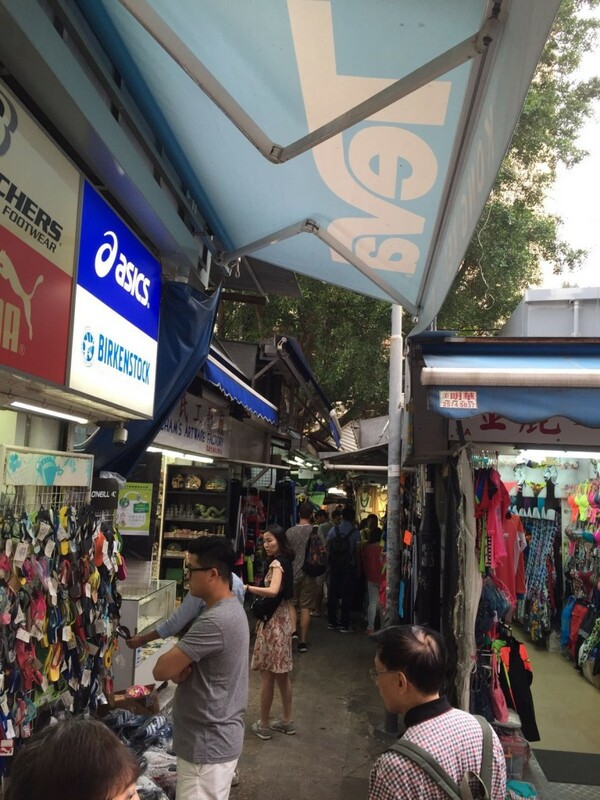 The one in the picture above is located next to the Hong Kong Shanghai Bank but there are many shopping areas including: Causeway Bay, Nathan Road, Jade Market and all kinds of street markets. Those were the 10 things that I think should be done while in Hong Kong. There were also many things I saw while travelling from one to the other. 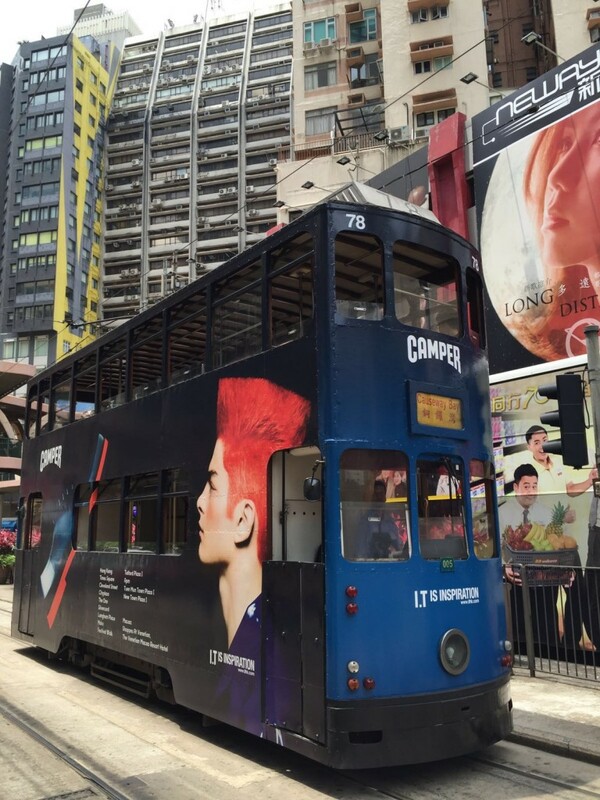 A double decker tram in Hong Kong- how cool!! Also known as the Big Buddha, this statue is located on Lantau Island. It was completed in 1993 and is a statue made of Bronze and symbolizes the relationship between man and nature as well as people and faith therefore it is a famous Buddhist sight. 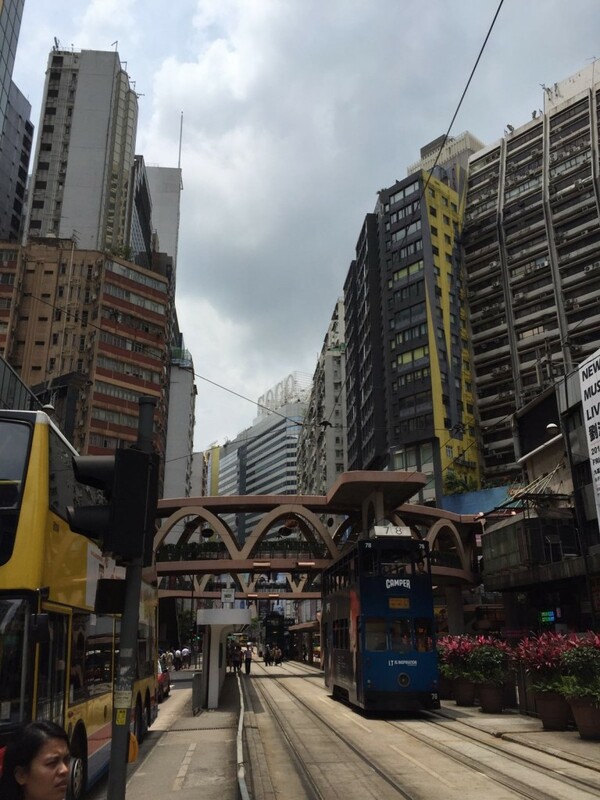 I spent six days in Hong Kong and it was enough time to see a lot of the city (a city worth visiting). A quick tip: when going to Hong Kong make sure you have written all the important information down such as hotel name because not everyone speaks English and therefore you can simply show the paper with the address or hotel name for example to a taxi. This way you can avoid miscommunication and know that you will find your way back. Also make sure to delight in the food, there is so much food everywhere but try to go for the local food and try something new!